By having their badge system, Foursquare encourages users to try going to new places and rewards this behavior with virtual icons as rewards. By visiting airports, bars or simply going out a few nights in a row, the badges are unlocked and can be viewed within the Foursquare app. There are users in Asian countries who remotely check into places with the sole intent of unlocking the badges. They do not use the app to track places they go or to meet up with friends, as the creators had intended, but merely use the website to get as many badges as they can. GetGlue is a website where a user checks in to movies, tv shows and music that he or she is watching or listening to. I have previously written about check-in fatigue and how I feel about interrupting my life and experiences by checking in to things. 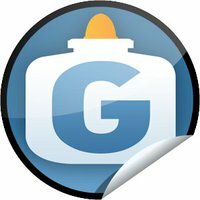 I had been told by some people that they felt GetGlue had the best recommendation engine they had seen, but my limited experience with it seemed to be to the contrary. With the coming onset of a new season of Doctor Who, my friend Damien told me that GetGlue would have some exclusive stickers. As a fan of the show I started using the site to get the stickers, and as I delved deeper, it seemed that most users used the site more to collect stickers than to actually show what they were watching and get recommendations based on it. There are even websites dedicated to telling someone what all the stickers are, how to get them and when new ones appear. It seemed like very few people actually used the site as intended. It seemed like the recommendations I got based on my interests were poor to begin with, but they got exponentially worse as I checked in to things just to collect stickers. I wasn’t finding new things based on my interests or seeing what my friends liked, I was seeing what stickers we were getting. When a site gamifies, it gains the potential for users who are more interested in gaining the rewards than actually doing useful things with the app or website. A proper balance needs to be found or the app becomes about as useful as a game of Angry Birds. As much as I enjoy battling the pig aggression, it serves its purpose rather than diluting its own purpose.